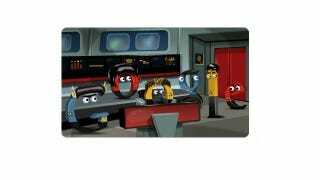 Google Doodles: the final frontier. These are the voyages of the Googleship Enterprise. To boldly click where no man has clicked before. Spoilers ahead, but here's the best easter egg in case you didn't find it.